Then doing the next one. If used too much glue, when you put on cat nails, the glue maybe spill over. 5Pcs Adhesive Glue 5pcs Applicator with Instructions. 100% safe for cat, super cute, light and nice looking design. Removes Shedding Pet Hair. Gentle care of your pet's hair. Perfect for Your Dog and Cat - Combing your lovely pet's fur with the comb regularly can help avoid hairballs, it will be a good pet grooming, de-shedding comb as well. (If you do not choose size, we will assign size L.). NOTE: Don't trim kitten's nail. 【Multifunction】Animals enter estrus and begin to get grumpy in spring. Avoid cat scratches the affected area with skin disease, Protect your cat itself and protect you when play with them. 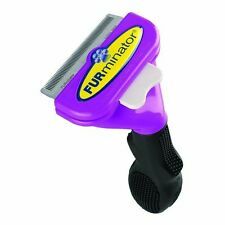 5 out of 5 stars - Furminator Undercoat Deshedding Tool for Cats - Furminator’s NEW RELEASE! 3 product ratings3 product ratings - Furminator Undercoat Deshedding Tool for Cats - Furminator’s NEW RELEASE! Features ---Easy to dissemble and clean ---Durable plastic bristles remove loose and shedding hair ---Built-in catnip compartment ---Can be attached on corners or flat surfaces ---Great toy for cats to self grooming and rubbing itch Specifications ---Material: Plastic ---Color: Green ---Size: approx 3.25" (W) X 5" (L) X 2" (H) Items Included ---One (1) Cat Self Groomer ---Four (4) Screws ---Four (4) Adhesive strips ---One (1) Bag of Catnip. Get rid of hairballs before they appear once and for all! With Two-Hands Performance you'll achieve twice faster and more impressive grooming results while just petting and stroking your pet! 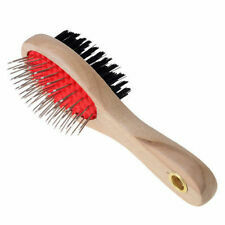 No more stressful chasing trying to comb out your pet. NOTE: Don't trim kitten's nail. 【Multifunction】Animals enter estrus and begin to get grumpy in spring. Avoid cat scratches the affected area with skin disease, Protect your cat itself and protect you when play with them. 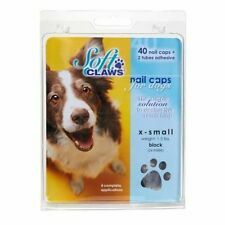 If the nail cap is too large, you may trim the open end of the nail cap until it fits. You will need a sufficient claw surface for the glue to adhere properly. 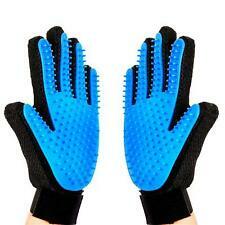 Grasp the claws of your cat, slightly push aside the fur around the nail and expose the nail. Chlorhexis 0.2% Flush Solution is an all-purpose, antimicrobial cleansing flush. This product has a pleasant fragrance and will not stain. Chlorhexis Flush contains Chlorhexidine Gluconate, which has been proven to have antimicrobial activity against bacteria, yeasts and viruses. Andis Clippers. Andis #12750. SureGrip sculpted can for ease of handling. Country fresh scent. 15.5 ounce aerosol. For clipper blades. 5 - in - One: Coolant. Also note that monitor settings may vary from computer to computer and may distort actual colors. That's our motto. And let's face it, everyone loves to find a bargain. It's human nature. Item Type:Pet Grooming Bag. Safe: the bag can prevent your cats to scratch and bite and can protect you from injuring by them to let you feel safe during the grooming of cats and increase the efficiency.